To add a product, navigate to one of your category pages and click + New Product near the bottom of the page. You can also do this from the Dashboard. Click + Add in the Pages section of the sidebar. Type your product’s title and choose the Product template type. A Description and Tags will help shoppers find out more about your product. Product photos will result in higher sales and a more beautiful shop. Upload as many photos as you like in the sidebar. 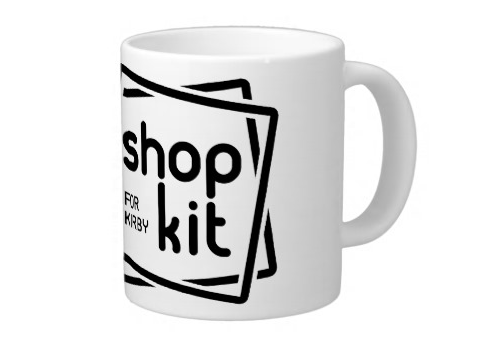 If there are more than one, Shopkit will create a photo gallery for this page. 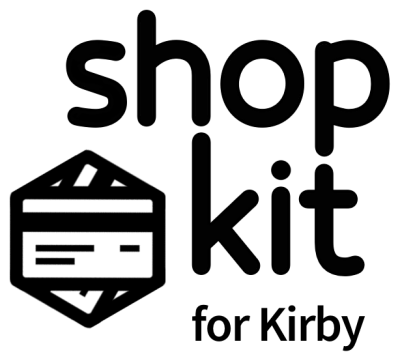 Shopkit lets you have an unlimited number of price variants for each product. That’s helpful if you’re selling different sizes of the same product, like a small, medium, and large t-shirt; or olive oil in 200ml, 350ml, and 750ml bottles. If your product doesn’t have these kinds of variations, then you only need one variant — simple! Click Add the first entry or + Add to add a price. The Variant name should describe the physical qualities of your product, like size or material. Price is a mandatory field, and should only contain numbers — no currency symbols. Optionally, you can define a SKU, Weight, Quantity in Stock, and additional Description for each price. The Options field is for further customizations that don’t affect a product’s price. For example, a product could be “t-shirt”, a price variant could be a size — “small”, and the further options might be colours, such as “blue”, “white”, or “black”. These colours don’t affect the product’s price. 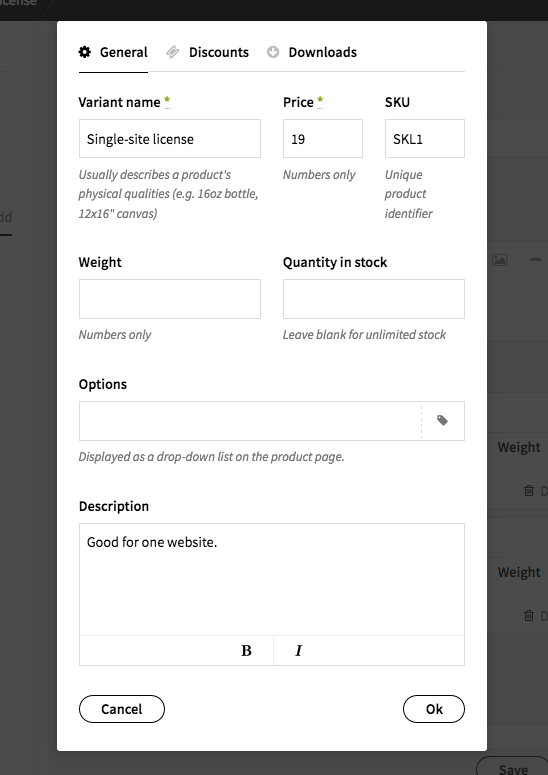 Shopkit lets you define an unlimited number of related products, which will show up at the bottom of the product page. Just select each product from the drop-down menu.